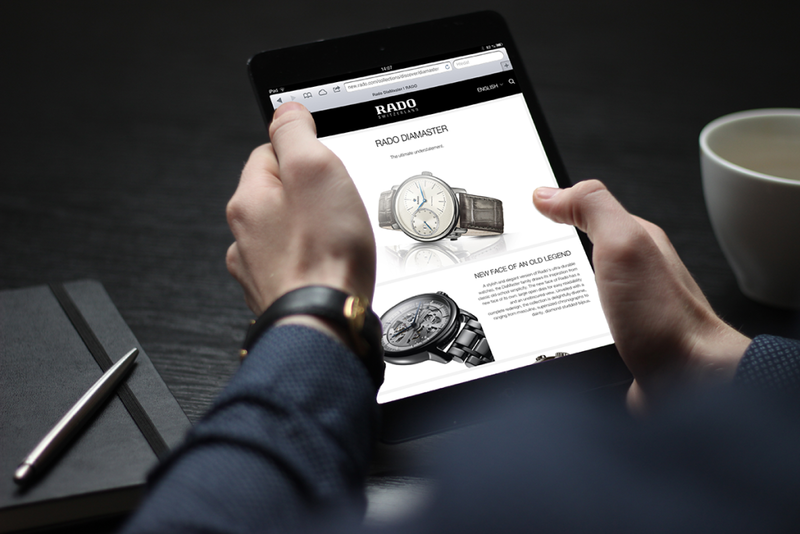 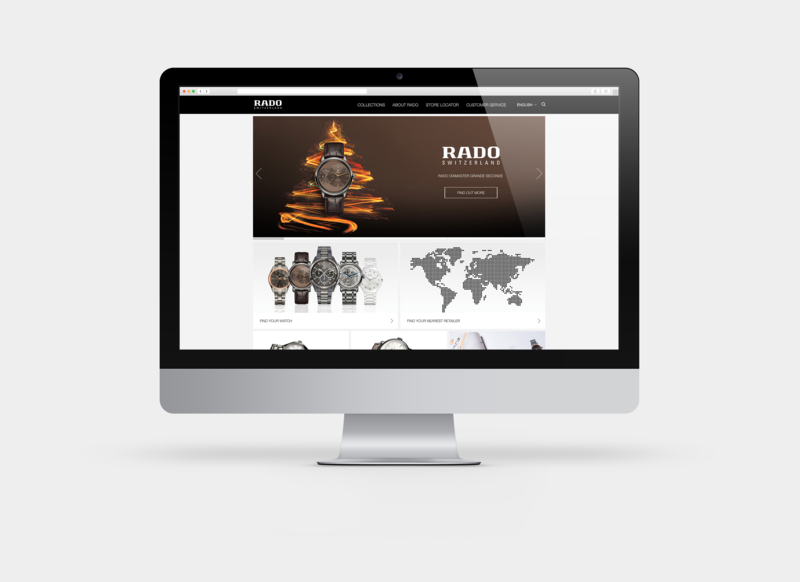 Rado is a swiss high range watch manufacturer and member of the Swatch group. 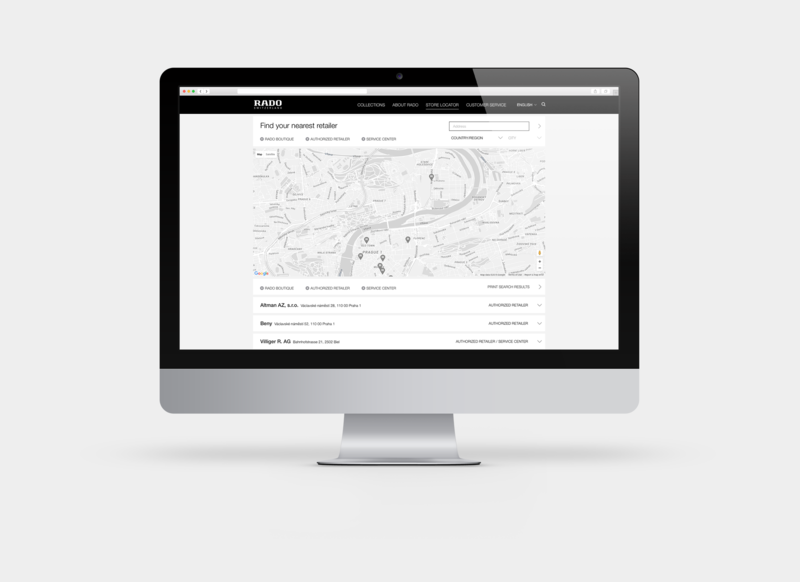 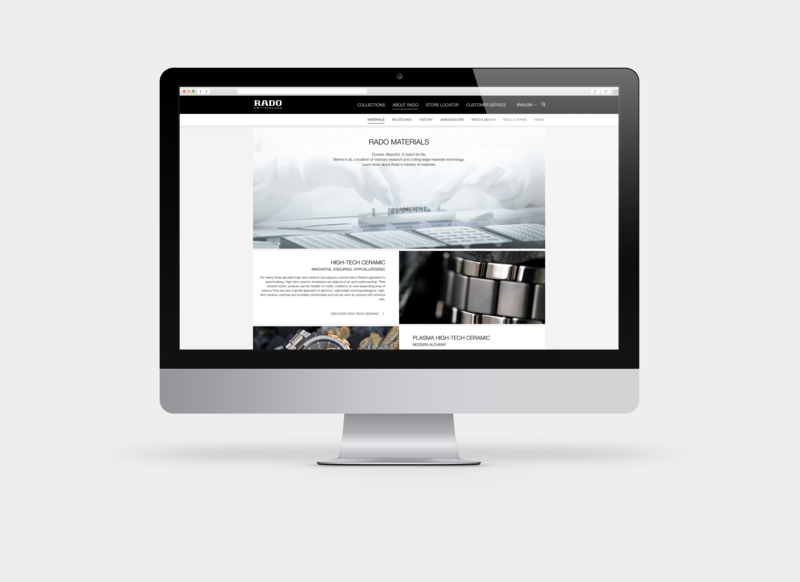 As the main digital designer I cooperated with a small team to redesign the website of the company. 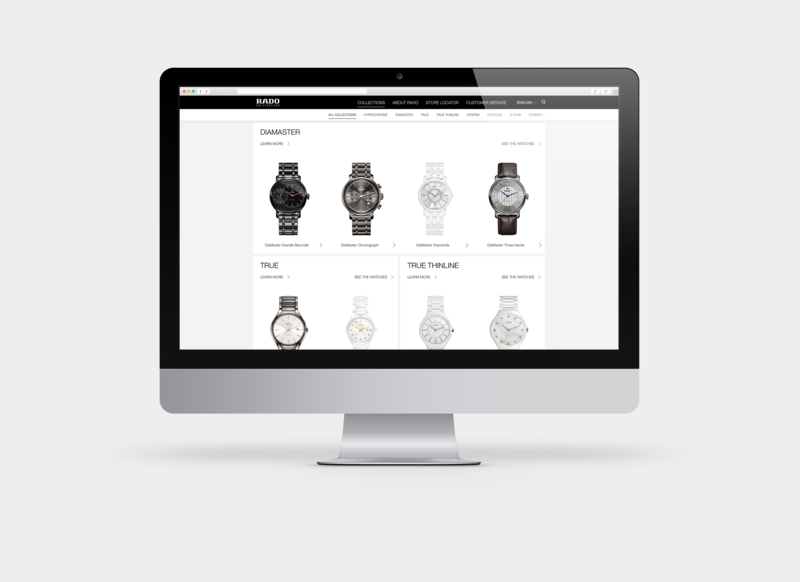 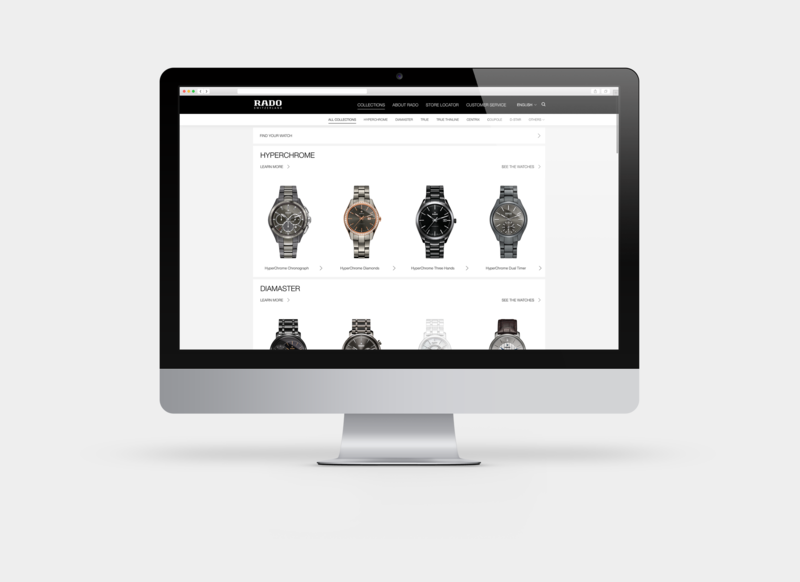 The website offers a well structured and minimalistic but elegant frame for the products. 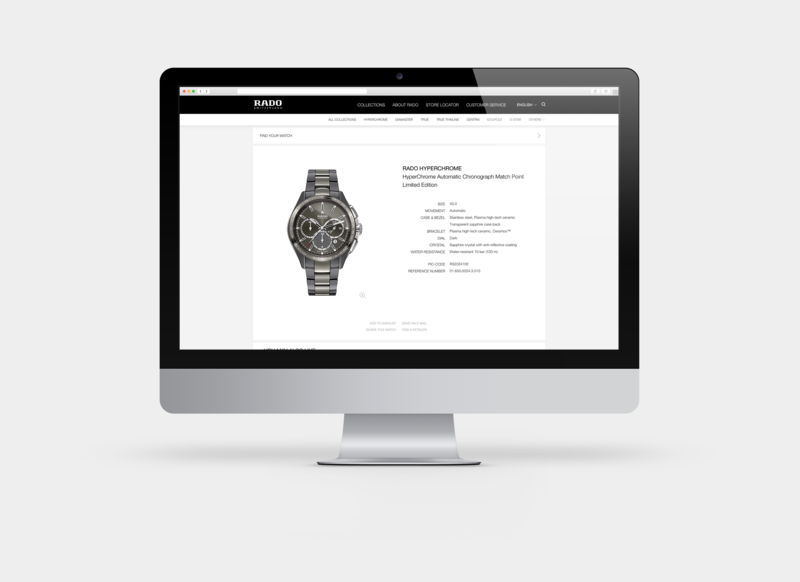 Transition and access to information about the brand and its tradition are very intuitive and guiding.